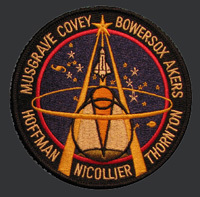 by Story Musgrave, with well-known space musicians. See our Space Music section to order. Australian orders : You can purchase our products using PayPal. You do not have to be a member to pay with a credit card via the PayPal system. Shipping of mission patches is FREE to Australian destinations. International orders: please email info@spacebooks.com.au for shipping costs before purchasing via PayPal. When placing your order outside of Australia, you will be automatically charged the Australian postage cost, and we will then send a request for payment for the balance of shipping costs to your destination. 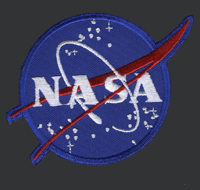 Shipping of mission patches to countries other than Australia will incur a shipping cost. $10.00 AUD / Size 3 inches. 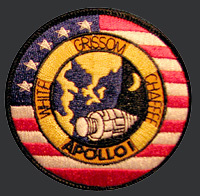 Gus Grissom, Ed White and Roger Chaffee never flew their Apollo 1 mission in 1967. 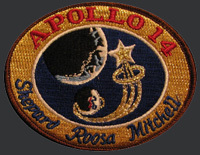 Sadly they died in their spacecraft in an accident during a launch test at the Kennedy Space Center. 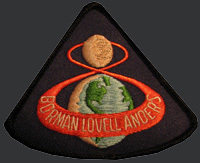 The crew of Apollo 8 - Frank Borman, Jim Lovell and Bill Anders - were the first humans to orbit the moon. "The Eagle has landed." These were Commander Neil Armstrong's famous words upon touchdown at Tranquility Base. 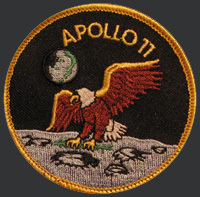 Neil and his Lunar Module Pilot Buzz Aldrin became the first humans to set foot on the Moon during their Apollo 11 mission in 1969. 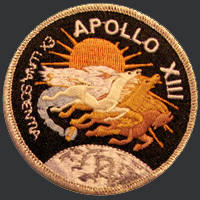 The Apollo 13 mission is famous for the successful return of three astronauts from lunar orbit after their spacecraft became damaged during an explosion. Unfortunately they were unable to land on the moon. 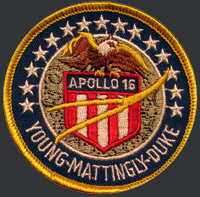 The first manned mission of the Skylab program. 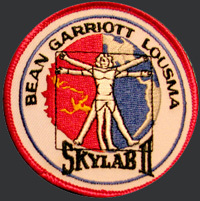 Sometimes referred to as Skylab 2 SL-2 (SLM-1). 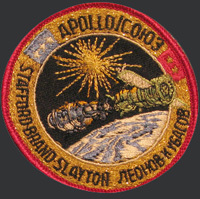 The second manned mission of the Skylab program. 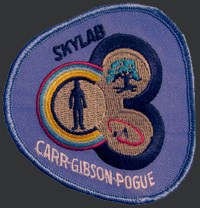 Sometimes referred to as Skylab 3 SL-3 (SLM-2). 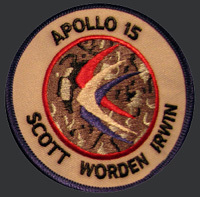 The third manned mission of the Skylab program. 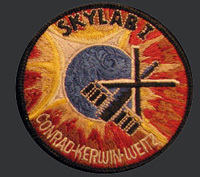 Sometimes referred to as Skylab 4 SL-4 (SLM-3). 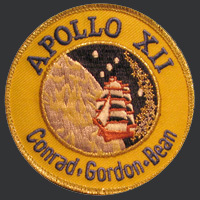 In July 1975, the last Apollo mission was launched to dock with the Soviet Soyuz 19 spacecraft in Earth orbit. 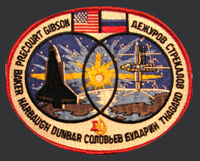 The mission was largely symbolic of the easing of tension in the cold war race into space and a new era of cooperation between the Americans and the Soviets. 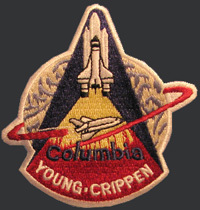 STS-1 was the maiden voyage of the space shuttle Columbia and the first manned space shuttle to orbit the earth. 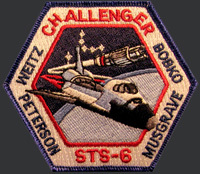 STS-6 was the first flight of the space shuttle Challenger, and also important for the first spacewalk of the space shuttle era by Story Musgrave and Don Peterson. 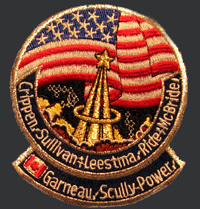 On STS-7, Sally Ride became the first American woman to fly in space. On STS-41G, Paul Scully-Power became the first Australian-born person to fly in space, as a Payload Specialist studying the oceans. $10.00 AUD / Size 4 inches. The last and fatal flight of the space shuttle Challenger. 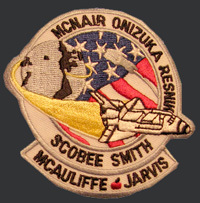 The mission patch reflects the names of those who died: astronauts McNair, Onizuka, Resnik, Scobee, Smith, McAuliffe (first Teacher in Space) and Jarvis. 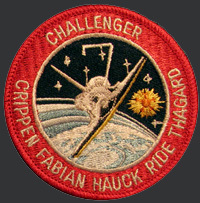 The first Hubble Space Telescope Repair Mission in 1993. 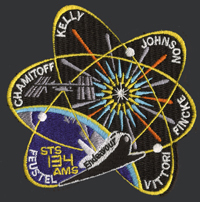 STS-71 marked the inaugural docking of the space shuttle with the Russian MIR space station. 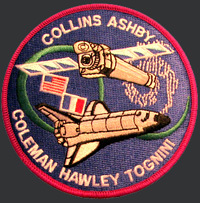 STS-77 marked the first flight of Australian astronaut Andy Thomas. 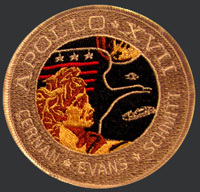 On STS-93 Eileen Collins became the first female space shuttle commander. 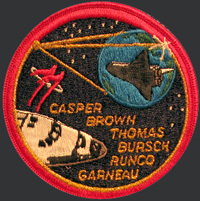 STS-107 was the final and fatal flight of the space shuttle Columbia. 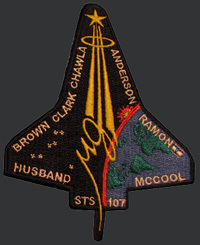 The mission patch reflects the names of those who perished: astronauts Husband, McCool, Brown, Clark, Chawla, Anderson and Ramon. 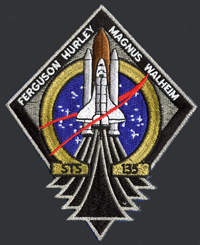 This Mission marks the last flight of the Space Shuttle Discovery. This Mission marks the last flight of the Space Shuttle Endeavour. 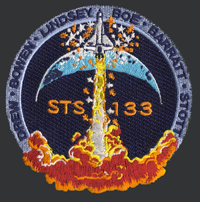 This Mission marks the last flight of the Space Shuttle Atlantis and was the final flight in the US Space Shuttle Program. 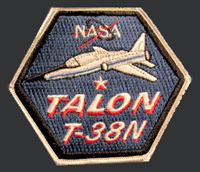 The official patch of the NASA Northrop T-38 Talon. 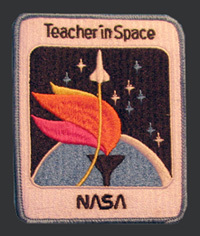 The official patch of the NASA Teacher in Space program.